Start your review of Andrew Gradish. I am a life long resident of Tillsonburg. 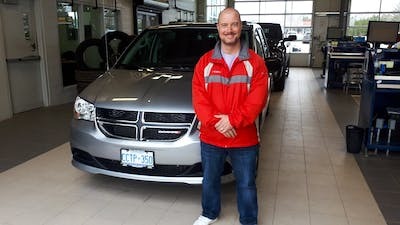 I have been with Eichenberg Chrysler since May of 2005 where I have been in multiple roles, currently I am Sales Manager which makes me responsible for what our 5 sales staff are doing on a daily basis and also monitoring our New and Pre-owned inventory levels. Thank You! Your message has been sent to Andrew Gradish at Eichenberg Chrysler. "Best service and sales around"
Jake is an excellent guy!! Great value and service. Will highly recommend Eichenberg! 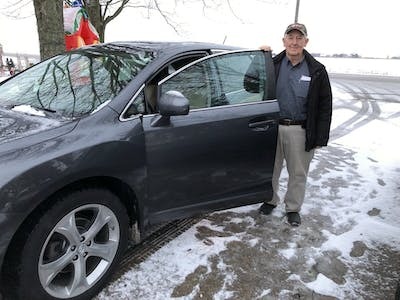 We purchased a Toyota Venza, and couldn’t be happier... will be back!! We inquired with Gord Tilton about a truck we saw online in their inventory. It had just sold but he was able to find us exactly what we were looking for in 2 days and was able to have it ready for us to meet our tight timeline. The truck was very well detailed and he spent time demonstrating all the features when we picked it up. I would recommended Eichenberg's and Gord to anyone. 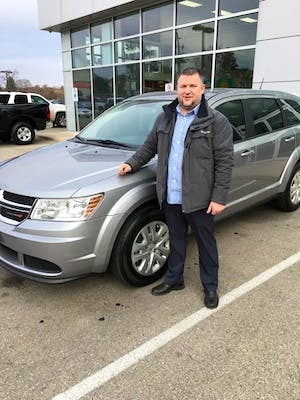 "The best dealership in SWO"
Purchasing a new vehicle at Eichenberg was a breeze. 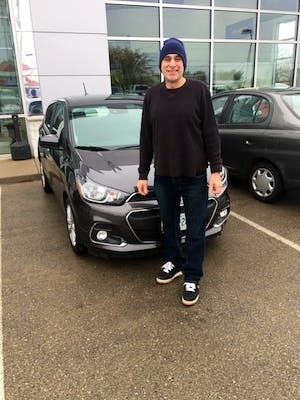 Everyone at the dealership is tremendous and a special shout out to Andrew who goes above and beyond for his customers. He was willing to answer any and all questions that we had and made purchasing a vehicle fun again. Thanks for hooking us up with our new truck. We love it. "My 2019 Jeep Cherokee "
Having dealt With Andrew before I was glad to see he was still as straight forward and fair as he was previously. Bill Locker had all the answers for my questions but never exerted undo pressure thus allowing me time to weigh the answers in easy and comfortable way. Charlie Sofalvi was my computer guru and Greg Vermeersch told me of the various aftermarket items available i.e. undercoating., professional detailing etc. All in all the purchase of my new Jeep was a pleasant experience. "You won't be disappointed "
From start to finish it was a great experience, best one you'll ever get from a car dealership! Friendliest bunch you'll ever have the pleasure of doing business with. All of the staff there are great. We were able to get a deal done quickly and at a fair price. They are so thorough..